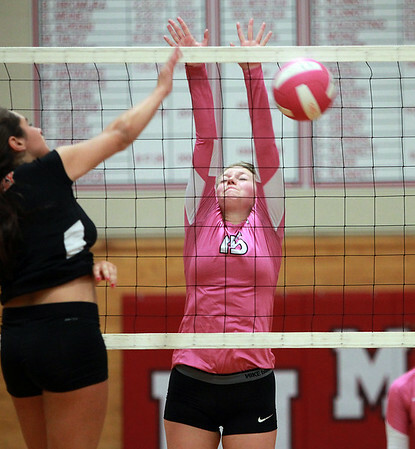 Masco senior captain Katherine McManus (15) records a block on a Beverly player during the second set of play on Wednesday evening. DAVID LE/Staff photo. 10/1/14.